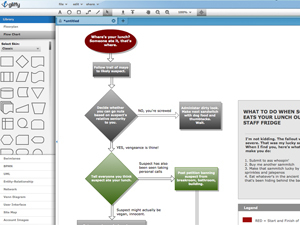 Gliffy is the de facto online diagramming tool which allows you to visually communicate, collaborate, and share ideas. Avoid bulky desktop applications which require a high monetary and time investment by using Gliffy's web-based application to build flowcharts, UML diagrams, wireframes and many more. Try it free today.